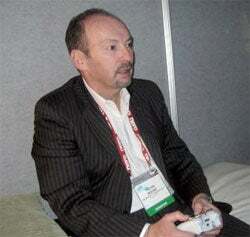 File this under "insightful": EA Sports boss and part-time tattoo aficionado Peter Moore has told Eurogamer that his brand is under-performing on Nintendo's dominant home console. Sure do. Know a good place to start, Pete? Quit introducing cartoony graphics and take a look at Konami's Pro Evo. While the shinier versions of EA's FIFA have gone 3-1 up at halftime against Pro Evolution, it's a different story on Wii, where Pro Evo is one of the best examples on the whole console as to how to implement Wii controls (not just big heads and minigames) with a little flair and imagination.